!! Excellent Memory Joggers !! Includes reference information for all controls and Setup Menus. Indexed and organized for Quick Access to what you need to do by mode of operation. Explicit and easy to follow short-form instructions. 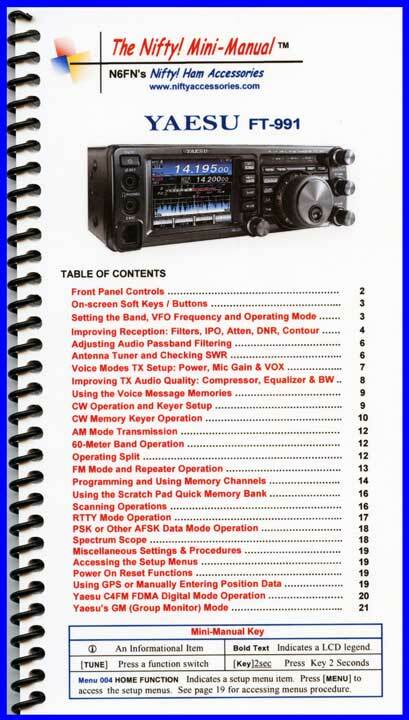 Just follow the numbered steps to setup your radio, or to program repeaters and other frequencies into memory. 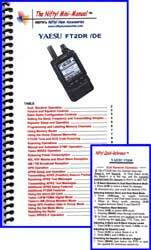 Nifty Radio Setup Guides are Smaller, Faster and Easier to use than a normal manual. Includes useful hints not found in the user manual. Laminated and bound for durability. 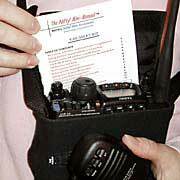 Compact- 4.5 x 8 inches, fits in a map pocket , small enough to be kept with the radio. 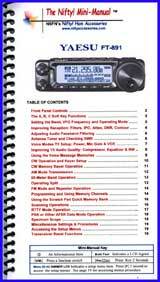 Indispensable operating accessory for your radio. 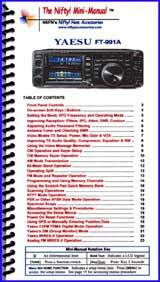 Radio not listed? 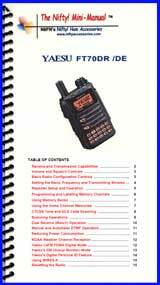 Check our Discontinued products page for guides that are out of production but still available for purchase.